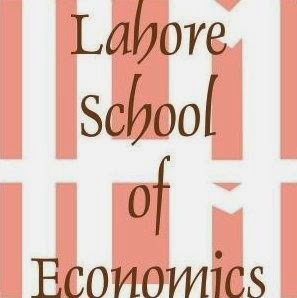 Lahore School of Economics: A blessing in disguise? Over the last 30 years, Pakistan has signed as many as 12 agreements with the IMF. Only one was fully completed. In almost each case, the IMF left hoping that, this time, Pakistan would deliver on the almost impossible-to-implement conditionalities it had imposed. The Pakistan team left extremely unsure of how they would meet these conditionalities, already thinking of excuses or ‘waivers’ The situation was aptly described by Dr Meekal Ahmed, who worked for many years with Pakistan’s representative to the IMF, as “a road to nowhere”. Post-1990, Pakistan’s growth plunged from a healthy rate of around six per cent in the preceding 30 years to just over half this number. The IMF attributed this downturn to Pakistan having failed to implement the agreed economic reform programmes. Pakistan’s rejoinder was that, not only was the economic cost of these reforms too high, but also that the reforms that were carried out had not produced the desired results. Indeed, in many cases, they had worsened the economic situation. A classic example was the virtual stagnation of the industrial sector: despite a more open economy and lower tariffs, competitiveness and growth had not increased, deindustrialisation had set in, and exports had stagnated in the absence of a comprehensive industrial policy. There is an element of truth in both explanations. While the IMF must share responsibility for imposing virtually impossible conditions, the real blame lies clearly with our past governments and economic managers who signed these IMF agreements knowing full well they were almost impossible to implement. There has been criticism from some quarters that the current government has lost valuable time, with the accompanying loss of business confidence, by not signing an agreement with the IMF. Some have gone so far as to suggest that the new government’s economic team was not as well prepared as it should have been in starting negotiations with the IMF. It is true that business confidence could have been revived sooner had an IMF agreement been concluded. But judging by the record and fate of so many previous agreements, should we not welcome the fact that the government did not sign an agreement on terms it felt were harsh and unacceptable, rather than vilify this decision? If the government felt it needed more time to come up with a credible alternative and go back to the drawing board, was it not justified in taking this line of action? ‘Never reinforce a failure’ is an old, often repeated military dictum. In this case, it holds equally true — not just for the government, but also for the IMF. Indeed, in taking this step, the government has done what should have been done long ago. Rather than first working out a detailed and feasible macroeconomic framework and development plan, past governments’ only objective appeared to be waving about a cheque from the IMF without explaining and justifying the terms and conditions agreed on. They should have realised that, once an IMF programme is signed, with its carefully time-lined targets and performance indicators, the room to manoeuvre is almost nonexistent. Ideally, this government should have been better prepared with a detailed plan of action for translating its economic manifesto into concrete targets. Yet, in all fairness, it has inherited an economy carefully disguised by the previous government as being on the verge of takeoff when it was, in fact, on the verge of debt default — a polite term for bankruptcy. In these circumstances, the immediate objective had to be to build up reserves and steady a fast-sinking economy. Again, in all fairness, the government has done well in bolstering its foreign exchange reserves with the help of loans and deferred oil payments from friendly countries, and strengthening its bargaining position for the next round of negotiations with the IMF. These favourable developments have provided some relief and time — but only temporarily. The economic team’s real test will come when it presents its mini-budget later this month, hopefully within the framework of a credible and implementable medium-term budgetary framework. More specifically, in evaluating the latter, three economic indicators will be watched very closely, not only by domestic and foreign investors, but also by the IMF. The first is the fiscal deficit and planned measures to reduce it to nearer 5pc (than the current projected figure of well over 6pc) by reducing government expenditure and subsidies and curbing the rising circular debt and high losses incurred by state-owned enterprises. Given the ambitious targets the government has set itself on education, health and housing, it will need to set clear priorities and accept difficult tradeoffs to ensure a stable fiscal and monetary framework without sparking an inflationary spiral. The second indicator is the foreign exchange financing gap, which needs to be reduced by reforming the trade regime to increase export competitiveness with an emphasis on quality, rather than just lowering prices and selectively reducing imports that fuel our high levels of consumption. Most importantly, the government must spell out a policy for handling the exchange rate. Much of the existing uncertainty stems from the mistaken belief that the rupee will be drastically devalued further when it is well near its real effective exchange rate. Third, the government must restore investors’ confidence not just by reassuring the private sector that it is fully committed to private investment as the major engine of growth, but by making it clear that no ‘witch-hunt’ is afoot. This should be accompanied by a clear-cut policy regime for curbing foreign exchange transfers abroad as well as tax and other incentives to attract new investment, especially in the newly set-up industrial zones under CPEC. In the end, global and domestic market sentiments will judge the credibility of the proposed economic actions and reforms. If these are positive, not only will this restore business and people’s confidence, but even the IMF will come around — this time to support the government’s economic framework rather than dictate it. The writer is professor at the Lahore School of Economics and former vice chancellor of the Pakistan Institute of Development Economics.